In the five or six years that I’ve visited Arizona during the Michigan winter, one of my favorite bike rides has been the scenic, roller-coaster run from Nogales to Patagonia. 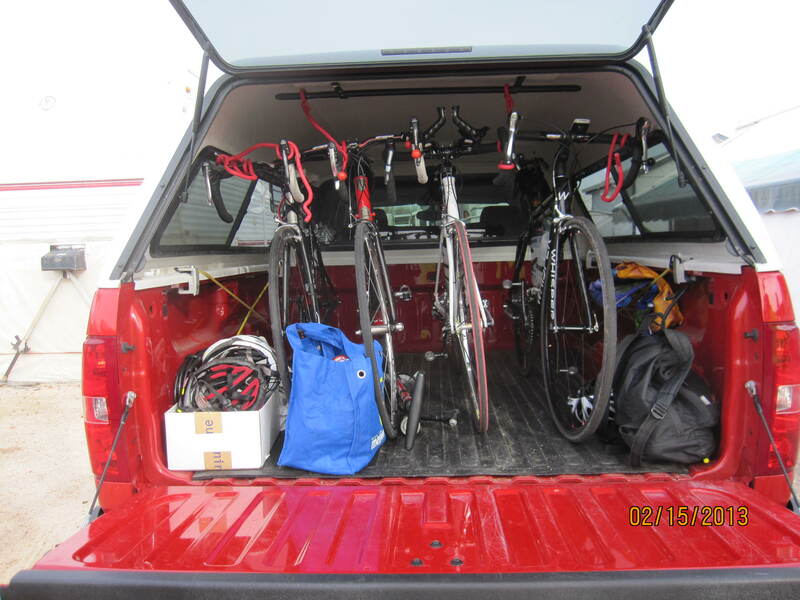 So, the eight Michiganders set off this morning – two tandems tucked into Greg’s truck, and four single bikes nestled into the back of our pickup. Nice to get 8 riders and bikes into just two vehicles. Some of the road surface near Nogales is pretty treacherous – lots of cracks and lumps. But, once it smooths out, the riding is fantastic. 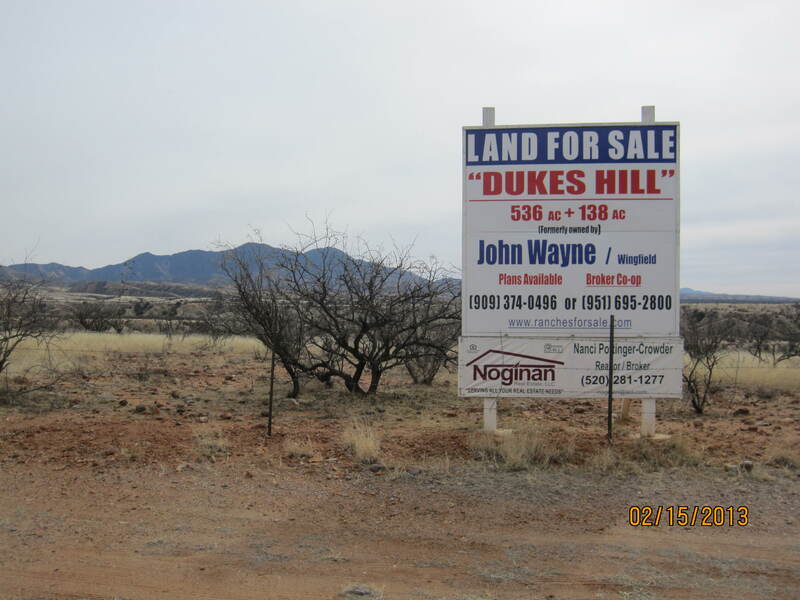 This former John Wayne ranch has been for sale for at least 5 years. a little place with homemade soup, salads, and a huge pizza/calzone list. Feeling entitled after riding a mere 20 miles or so, we all decided on soup AND pizza. Oh man, we are livin’ large. The lentil soup was loaded with veggies, and was served steaming hot with a luscious warm wheat roll. Pizzas were loaded with cheese, jalepenos, tomatoes, and chorizo. Fabulous. A big tail wind assisted our ride back through the hills and canyons. Energized by that, and with the benefit of our lunch, we sped back to Nogales. The Cow Palace Bar beckoned us on our way back to Green Valley, where we split into the usual margarita/beer groups. We toasted our friendship, and the wonderful ride we had today. This entry was posted in Arizona, cycling, retirement, Uncategorized and tagged Arizona, cycling, great food by Judy Crankshaw. Bookmark the permalink.